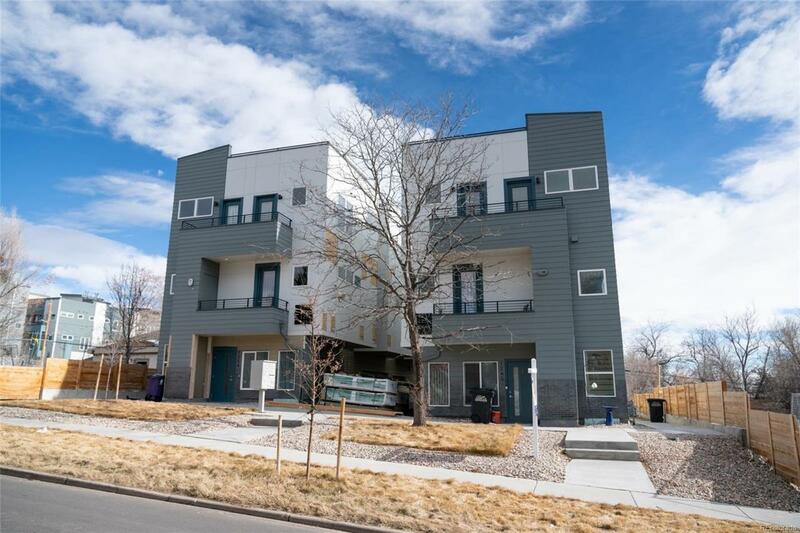 Stunning new build in one of Denver's hottest performing neighborhoods, and at a great price! This center unit at Row @ Perry Station is all about modern style in a great location for the active Denver lifestyle! Enjoy the 10 ceilings, an open floor plan with sustainable bamboo hardwood floors, and a modern kitchen. This unit also comes with a large rooftop deck with both mountain and city views. Row @ Perry Station is located just a few blocks from Sloan's Lake and a short walk to Perry Street Station to catch the light rail ride Downtown. Comes with a 2-10 home warranty. There is no HOA and our preferred lender is offering a $2,000 credit to buyers! Photos are from an adjacent unit. Great opportunity for AIRBNB or long term rent. Some last touches on the exterior are being completed, will be completely done in February. Offered by Colin & Company.